Rory McIlroy has had several close calls at Augusta National. Is this the year he bags his first Masters? It’s time to unveil our staff’s Masters picks to win at Augusta National Golf Club. 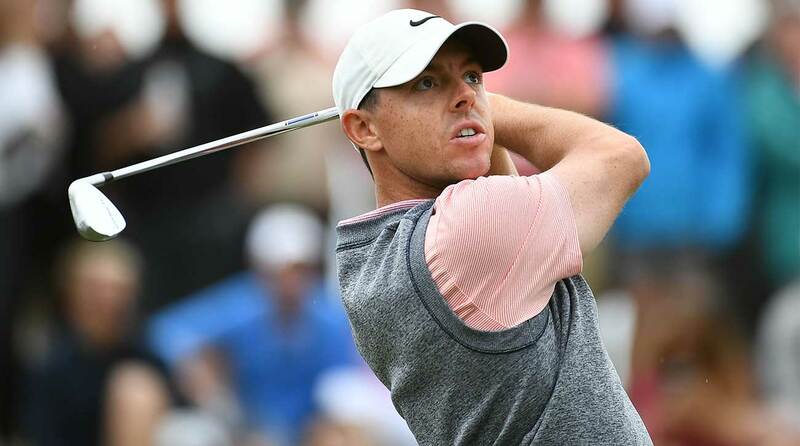 Rory McIlroy and Francesco Molinari are trendy Masters picks after big victories in March — Molinari won at Bay Hill and McIlroy won The Players — and major-less pros such as Paul Casey and Kevin Kisner are also both coming off victories in the past few weeks (and both have played well at Augusta lately, too). Oh, and then there’s Tiger Woods. He hasn’t finished worse than T30 all season and is coming off a strong performance at the World Golf Championships-Dell Technologies Match Play, where he just missed advancing to the semifinals. Woods is looking for his fifth green and 15th career major; his last came in 2008 at the U.S. Open. Woods’s odds to win the Masters are 14/1. Among the favorites of Masters picks to win, McIlroy has the best odds at 7/1. Dustin Johnson is 10/1 and Justin Rose is 12/1. Defending champion Patrick Reed is 60/1. Alan Shipnuck, senior writer (@Alan_Shipnuck): Justin Rose. So many close calls on that golf course — it’s time to finally cash one in. Sean Zak, associate editor (@sean_zak): Let me be the first to choose Rory McIlroy. He’s the hottest golfer on the planet, and for someone of his stature, that’s all that matters. Alan Bastable, executive editor (@alan_bastable): Second that. Plus, he’s tired of getting left behind. It’s so obviously Rory’s time. I have never felt so certain about a prognostication. At least not since picking Iona to win it all. Josh Sens, contributor (@JoshSens): Louis Oosthuizen. A solid track record at Augusta and a game that has been rounding nicely into form. Pat Ralph, associate editor (@Pat_Ralph): Dustin Johnson. DJ has been knocking on the door at Augusta with three straight T10 finishes, and he’s already got two wins so far in 2019. This year he finally gets his own green jacket. Jonathan Wall, equipment editor (@jonathanrwall): Rickie Fowler. I still believe Fowler is going to get the elusive major title at some point. Outside of a missed cut in 2016, he’s finished no worse than T12 four of the last five years at Augusta. This is the year. Tim Reilly, social media editor (@LifeOfTimReilly): Jordan Spieth. We’ve been waiting (and waiting) for Spieth to return to form. In five Masters appearances, his worst finish is T11. Augusta is where Spieth goes to turn his game around. I can’t wait to see the look on Patrick Reed’s face when he has to put the green jacket on him. Jessica Marksbury, multimedia editor (@Jess_Marksbury): I’m putting my money on Rickie. So many guys are contenders when it comes to ball-striking and Augusta know-how: Tiger, Justin Rose, DJ, Rory. The list goes on. But each of those players have questionable putting of late. Rickie’s putting is always top-notch, not to mention the fact that he’s playing well this season. Would love to see him in Masters green on Sunday. Jeff Ritter, digital development editor (@Jeff_Ritter): Shortly before claiming the British Open last summer, Francesco Molinari won the Quicken Loans and placed second at the John Deere. This spring his results include a win at Bay Hill and a third-place finish at the Match Play. (In case anyone forgot, in between he also submitted one of the greatest individual Ryder Cup performances ever.) He’s running hot right now, and at 30-1 on many of the betting boards, I’m in. Imagine how emotional his winner’s press conference will be! Luke Kerr-Dineen, instruction editor (@LukeKerrDineen): Francesco Molinari. I was on the Jon Rahm Masters train for a while, but my lingering concerns over Rahm’s hot-headed mentality (see: The Players Championship) mean that I’m overcorrecting and opting for the most unflappable player on Tour. Franco’s in the midst of the best streak of his career and remains an iron-clad ball-striker. Get ready for him to run up the margins with a green jacket win. Dylan Dethier, associate editor (@Dylan_Dethier): Rory McIlroy. Nobody is playing better. His game really sets up great for Augusta. I love the way he’s been working the ball different directions. He’s the best driver in the world, a damn good irons player, has great touch around the greens and has been — overall — an above-average putter. This is Rory’s year. Josh Berhow, senior editor (@Josh_Berhow): Remember when Francesco Molinari was out-dueling Tiger Woods en route to a British Open title last year, and photos of Frankie caddying for his older bro, Edoardo, at the 2006 Masters — while paired with Woods — dominated social media? Get ready for those photos to resurface on Masters Sunday when Molinari is on his way to winning his second major title. He’s in good form and has a game that translates well to Augusta. I’m betting he rides a hot putter to victory.